- Daily News. 25th January, 1879. 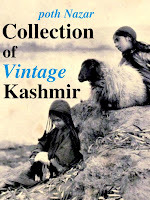 Famous missionary educationist Tyndale Biscoe in his writings mades an interesting observation about Kashmiri people. 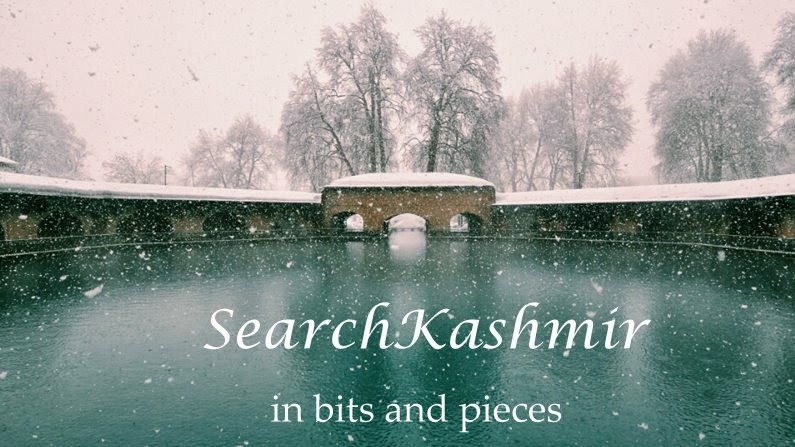 In times of natural calamity, famines and pandemics and earthquake, he found Kashmiris mourning silently, without any public display of grief. -The Graphic. 18th December, 1891. Lord Lansdowne (1888 – 1894) was the viceroy at the time and setting up of Durand Commission for defining boundary of British India and Afghanistan was one of the high-points of his career. The Graphic. 22th August, 1885. 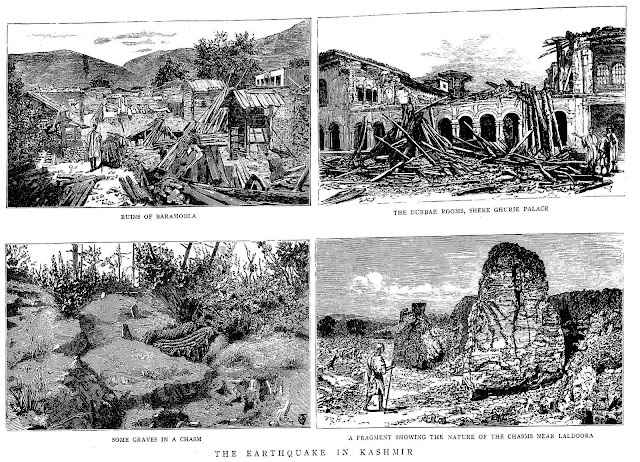 One of the most terrible earthquakes ever to hit Kashmir ( an intensity III ). -The Graphic. 19 December, 1891. Interesting peek into the politics of the region in those day. Durand was right in the middle of it all. 1. Can these places be located on a map (I've found Nishat Bagh and Chasma Shahi) ? 2. Do any of these places show the presence of former vineyards? 3. Does anything remain of the former winery / distillery at Gupkar?" Thi'd (or Teed) - Lake Dal: there is a village named Thi'd near Harwan. Cashmah Shaki: famous Chashmashahi/Chesmahai. There are famous almond gardens, cherry gardens and pear gardens there.